The temperatures in Ottawa may be frigid this weekend, but they haven't stopped some people — and their pets — from venturing out into the white abyss. By Sunday night, between 15 and 25 centimetres of snow will likely have fallen across the city, according to Environment Canada. Today's high was only expected to reach –16 C, with the wind making it much colder. 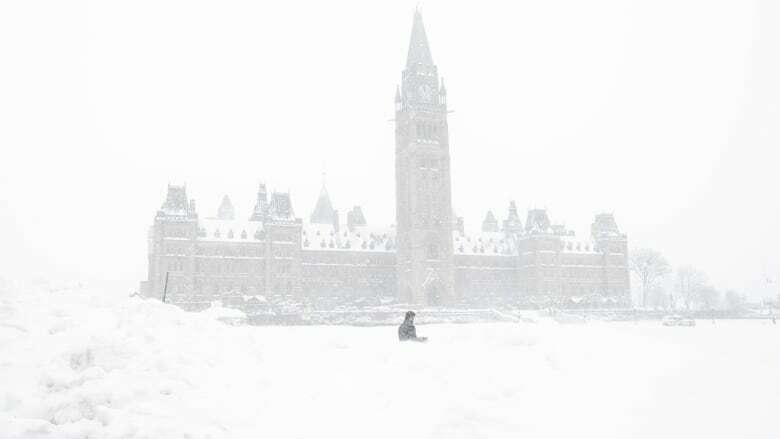 But as Ottawans have proven time and again, they can handle the cold. Here's some photographic proof. Not everyone was eager to step outside, however. No photos. Not videos. I'm hibernating. Wake me when spring is here.